Are you off to Prague to study on a year abroad? You can get your luggage there quickly and safely by using My Baggage! My Baggage is the No.1 student shipping company. We help over 30,000 students transport their luggage to and from university every single term by offering a low cost, reliable and affordable service. Prague’s collection of Gothic, Baroque and Renaissance architecture makes it one of the most beautiful and intriguing cities in Europe. It has been the political, cultural and economical hot-spot of central and eastern Europe for over 1000 years. With a constant flow of international visitors exploring the city, Prague is a bustling capital where you’ll never be short of something to see or do. Prague is home to excellent teaching institutions, such as Charles University or the University of Economics. While you study abroad in Prague, you will also be in easy reach of other central and eastern European cities such as Budapest. With My Baggage, transporting your luggage to Prague is an easy process. There’s no complicated sign-up process – all you have to do is register your email address to get started. Visit our homepage to get a quote. To make your booking, you will be required to provide your luggage weight and dimensions – so be sure to have this information ready. Once you’ve booked, we’ll send you some labels to print and attach to your items. After that, we’ll take care of the rest. We’ll collect from your address in the UK and deliver straight to your address in Prague. It’s as easy as that! When you book your shipment, you’ll be provided with full online tracking as well as SMS and email notifications to keep you fully up to date with your shipment whilst its in transit. Your tracking information will update to let you know when your shipment is out for delivery – so you’ll know exactly when to expect it. For that added peace of mind, if you happen to have any questions or concerns along the way, we have a dedicated customer support team who can help via phone, email and live chat. Don’t hesitate to contact us if you need help with anything. Super fast shipping times to Prague and to over 200+ countries worldwide. Up to date text message and email alerts. At My Baggage, we understand that when it comes to transporting your luggage for your year abroad, speed is super important. No student wants to be left waiting weeks for their luggage to arrive in a new and unfamiliar city. That’s why we offer super fast luggage delivery times with 3-4 days on our Economy service and 1-2 days on our Express service. So it won’t be long before your luggage arrives with you in Prague safe and sound. On every single shipment, My Baggage provides £100 free compensation cover. If you feel like you need to, you may increase this value right up to £1,000 for a small additional fee during the booking process. Before booking your luggage shipment to Prague, we highly recommend reading through our list of prohibited and no-compensation items to ensure your parcel is covered. As many of our team are recent graduates, we at My Baggage understand that being a student isn’t cheap. That’s why we make it our priority to ensure that our prices fit within a student budget. 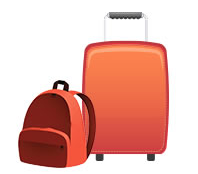 My Baggage offers the welcomed affordable student shipping solution. On our service, you’ll receive a generous 30kg weight allowance per item (almost double that of most airline baggage allowances). We also have a very handy ‘Price Match‘ tool, so if you happen to find a cheaper price elsewhere, simply let us know and we’ll do our best to beat it. 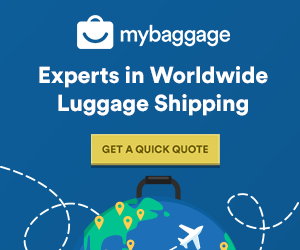 See how much you could save on your luggage shipment to Prague with My Baggage by getting a quote today!